The team behind the Gravity Sketch iPad app have launched new cross-platform software, which gives designers the option to draw and manipulate 3D objects in a virtual reality environment (+ movie). The updated Gravity Sketch software is an update on the team's previous products and similarly allows designers to develop forms in three dimensions. But the new software also allows them to also edit and manipulate these objects in virtual reality, as opposed to on a desktop screen. It also allows for co-creation among multiple users. 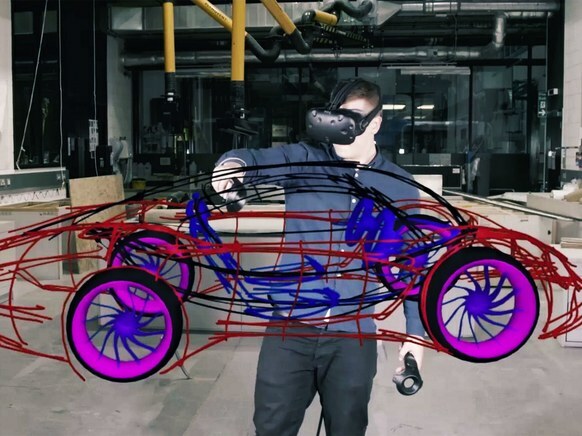 "Unlike the previous Gravity Sketch product, which was an app for the iPad, this software is available for use in the Oculus and Vive", the team told Dezeen. Through the software, which is scheduled for release in January 2017, the designer can also export their drawing to CAD programs such as Rhino, or straight to a 3D printer. The system works through the HTC Vive or Oculus virtual reality tools. Users start with a blank space, and customise it to build an environment of their own. Within the environment, they can create any kind of design at any scale. They can also shrink it down and alter it with a simple gesture. 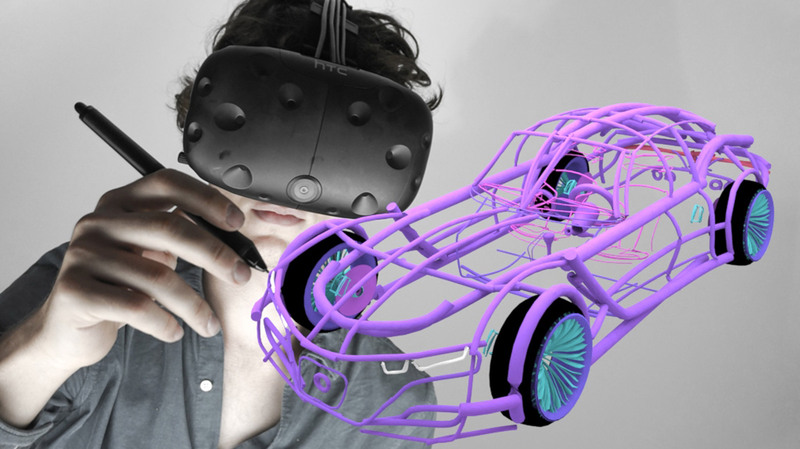 In a demonstration video released by the company, a Gravity Sketch user works with the software and a HTC Vive controller to design a car. He sweeps his hand across the design to shape the body of the car, and grabs sections – such as a wheel – to reposition them. "As we move towards native 3D design environments, 3D literacy will be incredibly important," said Daniela Paredes Fuentes, Gravity Sketch CEO. "With Gravity Sketch for desktop and VR, we will have limitless potential to make digital 3D design more intuitive and accessible for everyone." 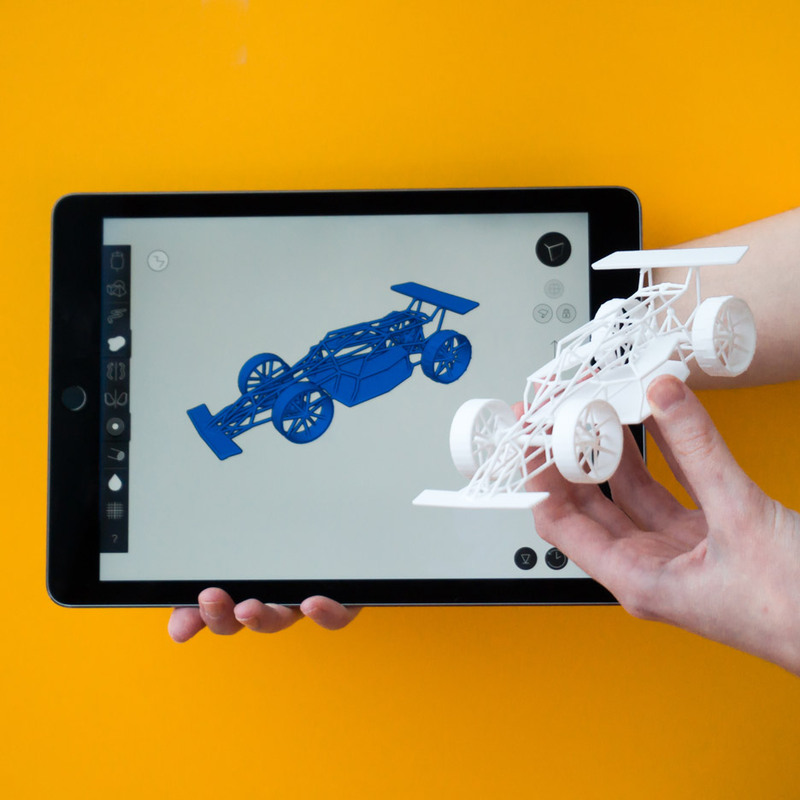 Gravity Sketch was developed by Royal College of Art graduates Guillaume Couche, Daniela Paredes Fuentes, Pierre Paslier and Oluwaseyi Sosanya, with the aim of making it easier to create 3D models for printing. The team created the transparent Gravity tablet device during their studies, which paired with a stylus for creating 3D drawings in mid-air. In 2014, they predicted that designers would soon be able to walk through 3D models of their designs and edit them on the go. Now these predictions appear to be coming true. 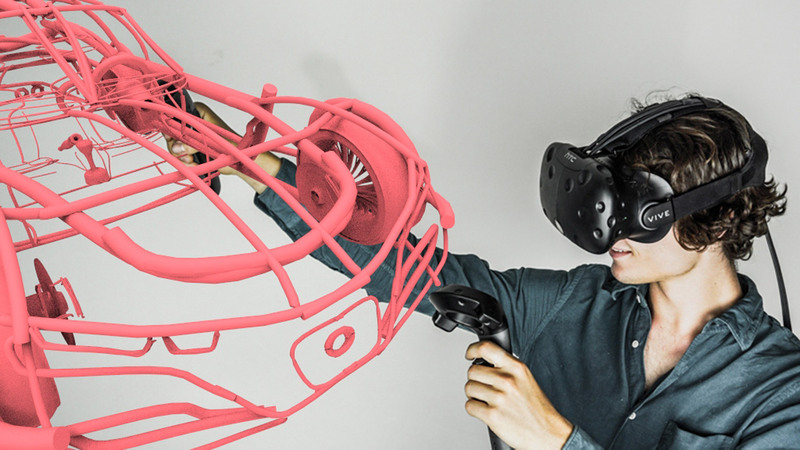 Earlier this year Google launched the Tilt Brush app for virtual reality sketching, allowing designers to walk through their sketches in 3D as they draw them. Last year, visualisation artist Olivier Demangel of IVR Nation said that VR would become "more powerful than cocaine" and predicted that the technology would allow architects to "change the world around you like a God".